The DeReve Stove Calculator will give you an idea of the heat output in kW needed for any room. If the room has an open staircase, is badly insulated, or has a number of windows and doors then you will need to adjust the heat output needed upwards. Please enter the room dimensions in metres. As well as the making sure your new stove will physically fit into its new home, it is important to consider that the stove’s output is sufficient for the room. You should also ensure that it is not too large for the room, as this can cause just as many problems as a stove that is too small. A stove that is too small for the room will not be powerful enough to heat the room adequately, on the other hand, if you have a stove that is too large it will need constant attention to keep the temperature down. With this in mind, when calculating the required output, a slightly greater output should be considered (no more than 1kW), as there will be a greater need for rapid heating in the long dark cold months of winter. 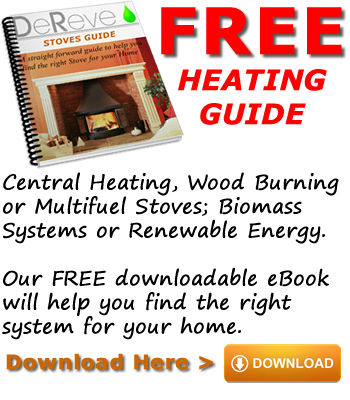 Please note that this is a rough guide, and we strongly recommend that a site survey is undertaken by an our experienced stove installer before you make your purchase. A full installation survey is FREE – to arrange your survey, please click here.